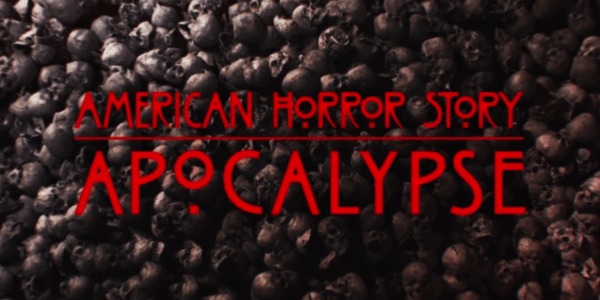 While the world ends, the action starts to pick up on American Horror Story: Apocalypse. The eighth season premiere is a haunting and sometimes hilarious look at the world during a nuclear apocalypse. This episode is something that starts conversations about “what if?” or “what would you do?”; that’s what horror should accomplish. It also happens to be creator Ryan Murphy’s specialty. By the end of this wild hour of television, you will not only fear the impending doom but what comes after. The episode begins before the end of the world. Just minutes before everything goes wild, Mr. Gallant (Evan Peters) is doing the hair of the rich and bitchy Coco St. Pierre Vanderbilt (Leslie Grossman). They get the alert about missiles heading towards California and begin to panic. Thankfully a small plane is waiting for them, but not everyone is as lucky. There are people committing suicide to avoid the blast, families saying their good-byes, and mass hysteria. Gallant finds his grandmother Evie (Joan Collins) and joins Vanderbilt in an escape plane. With them is Mallory (Billie Lourd) who discovers no one is flying the plane and they soon head straight into the blast. This crash ends one of the most compelling openers I’ve ever seen. This opener started a conversation in my home about what would we do in this situation. Questions about doomsday preparations and last minute actions began, completely enveloping the evening. American Horror Story is known for throwing compelling conversations at the viewers, sometimes challenging notions you would never know exists. Apocalypse is no different as it includes discussions about cannibalism to building society all happening before the half-way mark. This forces you to imagine yourself in the unique situation presented; living out the horrid conditions and outcomes that comes with a nuclear winter. It will keep you going through even the oddest moments in this premiere episode. There is no shortage of madness in “The End.” It starts strong and doesn’t let up until its ready. While the energy dips towards the middle, it’s an attempt to showcase the characters’ struggle of boredom, paranoia, and isolation. To avoid death and destruction, a secret society known as The Cooperative has prepped for this exact apocalypse and set-up underground outposts around the world as a way to rebuild. 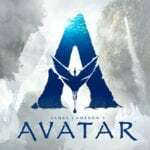 The story seems to be following two characters that The Cooperative picked to live, Emily (Ashley Santos) and Timothy (Kyle Allen), and their attempt to adjust to life underground. Ms. Venable (Sarah Paulson) runs their outpost, and she seems to be enjoying the power this apocalypse has given her. With her associate Miriam Meade (Kathy Bates), they are doing what they can to stay alive and keep their survivors under control. The secret society is split up into three groups: The Purples, the privileged; The Greys, the help; and the rulers, usually dressed in the most elegant attire. Emily, Timothy, Evie, Mr. Galliant, and Coco are Purples while Mallory is a Grey. We join this group two weeks after the explosions and then quickly jump to another eighteen months. In that time jump, the rations are lower, and cabin fever as long set reared its ugly head. Things are heading to a boil when a mysterious young man, Michael Langon (Cody Fern) shows up at the outpost. He quickly bumps head with Venable and tells her he is here to elevate their group, choosing to save some or all of them. The episode ends as he remarks his horses are dying, something he couldn’t possibly know unless there was something supernatural about him. AHS fans will know who this character is and what he is said to do, but I will not spoil that for the viewers. Just expect the unexpected with this guy! Other than presenting questions about post-apocalyptic life, the show also showed why its one of the best on television with fantastic camera work, striking costume design, and some horrific scenes. American Horror Story feels miles ahead of everyone else when it comes to their innovative cinematography and overall stellar production skills. This show stands out from the rest and always pushes the limits of what you usually see on TV. That includes some costume design that feels original but inspired; Venable’s dresses being a prime example. Sarah Paulson brings life to the character, but her outfits show the character’s soul. She’s harsh, sharp and beautiful. Couple that with how they film this role – always in harsh lighting and odd angles – and your story is told without the actors ever saying a word. That’s the power of good filmmaking! Though with this power, it means the horror scenes are even more intense this time around. Not only did the show lightly include cannibalism, but it had one of the most brutal looking decontamination scenes ever. After seeing the new Predator film that contains one of the most cringe-worthy childish decontamination scenes, this one felt even more impactful as you felt sorry for the characters, also before you find out its pointless and just used to torture the characters. Even before the aftermath, the horror of the impending apocalypse feels all too real in the current political landscape; the show also referenced the false alert that was sent to Hawaiian residents. This topic is very relevant, and it uses real-life horror to inspire the show’s terror. Like last year’s season Cult dealt with the political landscape in America, this season takes another relevant American horror to add to their story. Add that to the season’s supernatural elements and possible radiated zombies, and you got the scariest season yet. 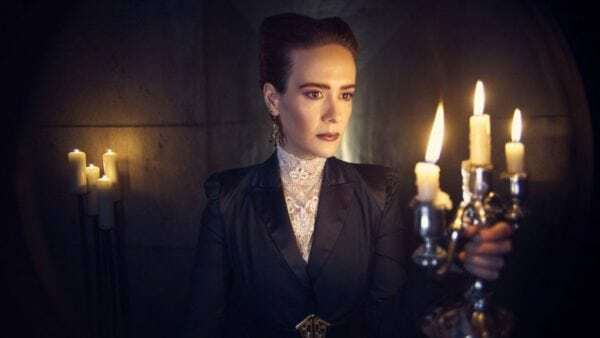 American Horror Story: Apocalypse starts with a bang, but let’s hope things continue. The show usually dips into wild territory about mid-season, but this premise seems to allow for mayhem to enhance rather than distract. Ryan Murphy promises the wildest season, and serious fans of the show know that’s a challenge from this mad mastermind.